Phoenix Textile Employees Do It Again! Local O’Fallon company Phoenix Textiles, thru it’s employees, raised over $1,800 dollars to help purchase a trailer for JCS hero Michael Shuster. 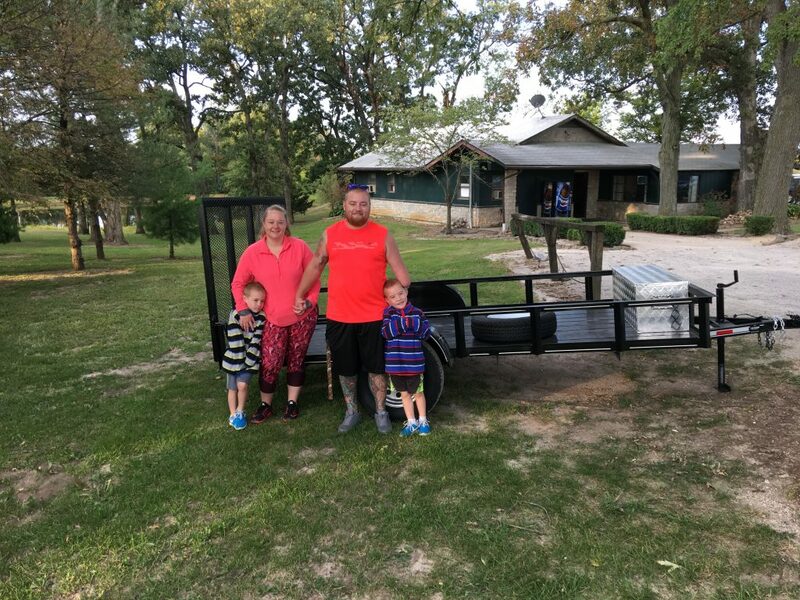 Michael has been renting a trailer every couple of weeks to haul his mower to his moms house to mow for her. He is hoping with this new trailer, to also have the freedom to mow other yards as well. Phoenix Textiles has sponsored the Bike for Heroes event for the past two years and the employees helped purchase a custom bike for Michael to ride in the event. We always want to recognize local companies that step up to help our most deserving Heroes. Thank You to all the employees at Phoenix Textiles for your continued support of JCS and our mission. We presented the trailer to Michael at the Shoot for the Troops event this Saturday. He was very excited to receive such a generous donation. Thank you also to Advisory Board member Charlie Hildebrand for finding the trailer and putting on the accessories, as well as Advisory Board member Chris Schulenberg for bringing it out to the shoot!